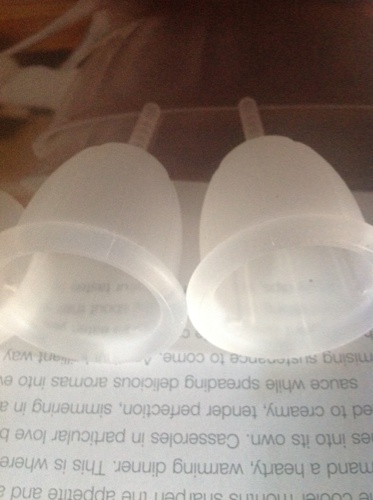 I happened to find a good price for a Natu, and ordered one in size 1, though I already have more than enough cups. In some pictures, the Natu looked different from the Si-bell, in others the same. Anyhow, for all those who always wondered, the Natu size 1 is almost identical to the small Si-bell. 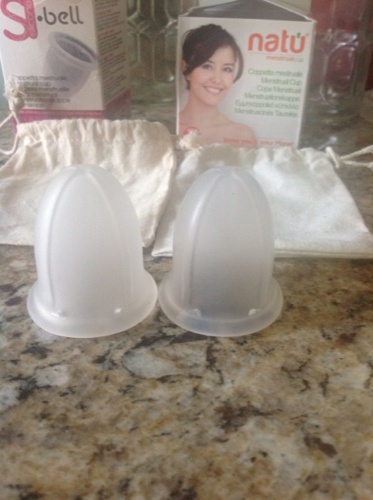 The only difference is that the walls are a bit thinner, the Natu cup therefore softer than the Si-bell. 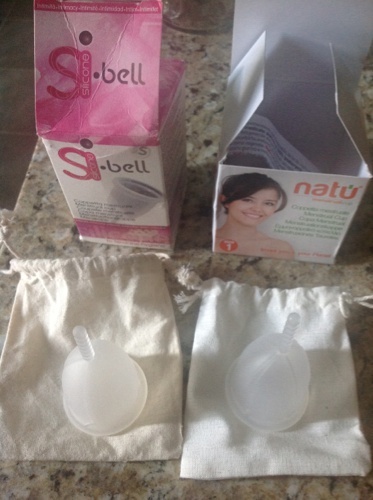 In the below picture, you can clearly see more through the Natu (left) than the Si-bell (right). Everything else is the same. Not sure how I could get the softness charts updated to reflect this, any ideas? Update: I just realized that what I have is the OLD natu, the new one has the natu logo across one side and is a bit rounder in shape. Bummer - they sent me old stock. Yes, there is no noticeable difference in the way it opens. -I guess the holes are exactly the same too ? -Oh, and do you feel (maybe) a tiny difference in the type of texture the surface of the cups have, like one of them is very slightly smoother than the other brand, or less 'downy'.. ? Yes, the holes, ridges on the side, etc. are exactly the same, and I personally find the texture on them exactly the same as well. It's only the thickness of the walls and thus the overall softness and flexibility of the cup that is a bit different. .. And would they have the same smell ?